How does coffee affect diabetes? So what is it about coffee? It is so popular and everyone drinks it. Well, almost everyone except me. I love the smell of coffee but maybe it’s because I only like things that are cold to drink. Or maybe I had one bad experience as a kid drinking coffee for the first time that had me not want to try it again. But what is the connection between coffee and diabetes? We will discover that in this article because diabetes is something you should know everything about and since coffee is the most popular drink, let’s find out what the benefits of coffee are even if you’re not a diabetic. Lowers risk of type 2 diabetes anywhere from 6% (decaf)-22% (more than 6 cups regular daily) depending on how much you drink and whether or not it is decaffeinated. Lowers the risk of developing gout. Cavities can be prevented by drinking black coffee because bacteria that can lead to the decay of the teeth is killed off by black coffee. Eye protection. The coffee bean contains strong antioxidants that can prevent damage of the retina. 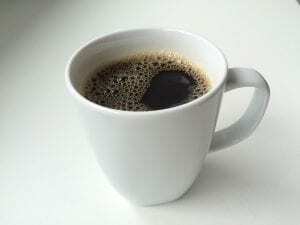 Risk of dying from a heart attack reduced by drinking 2 or even more cups of coffee each day. Protects against melanoma. By having a few cups a day can reduce the risk of melanoma. Careful though with drinking with creams and sugars because that will negate the benefits. Can help prevent type 2 diabetes. Gallstones. I wish I drank coffee years ago. Maybe then I wouldn’t have had my gall bladder removed. Gout. This is something you do NOT want. I know people who have it and the pain is so unbearable. It gives you the ability to think more clearly and lower the risk of depression as well. Decreases the risk of prostate cancer. Lowers the risk of cardiovascular disease and strokes. While I’m not a coffee drinker I can sympathize with you if you love your coffee and can’t go without it everyday. It’s not an issue if you don’t have diabetes and want to prevent it. But with diabetics coffee can increase your blood sugars and you don’t want that to happen I’m sure. All this will do is make it more difficult to control your glucose levels and even more so if you are consuming a lot of carbohydrates, at least the simple ones anyway. Insulin sensitivity is affected by coffee if you have diabetes. So if you decide to drink coffee and you’re a diabetic, then be careful and keep on top of your blood sugar levels. Buy a monitor and check it at home. Your blood sugar numbers are important because low blood sugar is not a good thing either. Caffeine in your coffee can have an affect on your brain. The blood flow to the brain can be impaired or decreased. It can be cut by approximately 25% and then your brain thinks that there isn’t enough sugar. You’ll be deceived into thinking that you require more food. Increased weight is not good for diabetes. Ok this doesn’t necessarily mean you have to give up coffee. Be smart. Watch the caffeine and how much coffee you consume. My wife has diabetes and she drinks decaf all the time. It seems to work for her so maybe you can try decaf, but I wouldn’t overdo it. Two to three cups a day would probably be sufficient. Spread them out throughout the day. See what works for you. Everyone is different. Everything should always be taken in moderation because as the saying goes, “too much of anything is no good for you.” Coffee contains antioxidants that are good for you and aid in controlling your insulin and glucose levels. 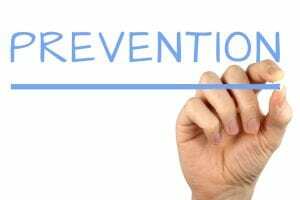 This will help prevent the beginning of type 2 diabetes. In order to reduce your risk of developing this disease you can have about three to four cups a day. Don’t go overboard. Coffee is responsible for aiding your cells in your body by how they respond to insulin. Because of the antioxidants they prevent stresses to your cells and therefore helping prevent diabetes. It’s just basically knowing when and if you should be drinking it and how much that will help you for prevention. Irritability. Do you find yourself irritable from drinking coffee or too much? Know your limit. Rapid heartbeat. This can be scary because you don’t know what it’s coming from. Insomnia. I hate insomnia and I don’t drink coffee (but again my wife does so I know). You don’t want to be up all night tossing and turning. Restlessness. I’ve experienced the restlessness and it can be extremely uncomfortable. Upset stomach. I always hated the upset stomach feeling. It is one of the worst feelings to go through. I don’t drink coffee but I know too much caffeine isn’t good for you. I used to drink and eat things I didn’t even know had caffeine in them. Oh was I flying high! I don’t care for caffeine anyway. If I was to drink coffee it would be decaf for sure. That’s all my wife drinks because she can’t do the caffeine either. Caffeine can raise your blood sugar levels. It can make you hyperactive and keep you awake. Drinking coffee can help your diabetes risk but it’s not the caffeine in it that helps. 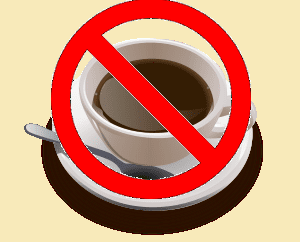 Caffeine just makes it difficult too for people who do have diabetes to control their glucose. Decaf coffee is much more beneficial for you to keeping your blood sugars under control. So stick with decaf. You are much better off. I just believe that most of us don’t realize what is in the foods we eat and the drinks we consume. Maybe if we did we would change our habits. Well that’s why I am here to help you learn about what coffee and caffeine do to or for you. My conclusion is that caffeine is something to stay away from or at the very least control the amount you consume. Because coffee has many antioxidants coffee drinkers can live a healthier and longer life. It aids in preventing type 2 diabetes, heart disease, and Parkinson’s disease as I mentioned before. You are also less likely to engage in the bad habits of smoking and rinking alcohol. Coffee helps protect against cirrhosis of the liver. Don’t drink more than 3 or so cups a day. Remember too much of anything is not good. The body does not really need coffee when you first get up in the morning. Although I’m sure you’re thinking to yourself right now, yeah right! The heck I don’t! LOL It’s cortisol that your body produces that simulates the effects of caffeine. Nutrients, not chemicals or sugar. Some of the daily required vitamins such as Vitamin B5, manganese, potassium, and Vitamin B2, you are getting in drinking coffee. Even though the amounts are not huge, you’re still getting some. The resulting effects of caffeine can result rather fast. You can have a better workout at the gym after absorbing caffeine because it releases the adrenaline and give you a better result when you’re done. Coffee will aid you in the fat burning process. It speeds up your metabolism between 2% and 12%. So how does coffee affect diabetes? I’m hoping that you enjoyed this article about coffee, caffeine, and diabetes because it is important and I really wanted to share it with you. There are many ways to help to lower your blood sugar and I highly suggest trying this because it works best! If you have any questions about coffee and it’s benefits, please leave a comment below. I would appreciate it and would enjoy interacting with you. Thank you! What is the Secret of the Paleo Diet for Diabetes?- My Review of the Best Diet for Diabetes Ever! I think coffee is like a lot of other things… It’s good in moderation. I do enjoy one cup most mornings, but keep my consumption to one cup. I feel like the benefits lessen with the more I drink. Also, do you feel the benefits for drinking coffee for diabetes is lessened if the person drinks their coffee with cream and sugar? I enjoyed reading the post. Thank you! I think that drinking 3-4 cups of coffee a day is fine. I definitely feel that drinking coffee with additives such as cream and sugar is not beneficial because you are adding sugar and that can add to higher blood sugar levels. WOW, you have so much great information here! I love coffee but have experienced ill effects if I drink too much. I had no idea there was a link between coffee and diabetes! I’m thrilled that you provided information about the benefits of coffee along with the info about the health risks! Great post that everyone should read! Coffee is so popular. It’s hard not to talk about it. It can be good for you but not so good if you drink too much and caffeine does have effects on you. It’s important to know about coffee whether you’re a diabetic or not. Thanks your your comments! I gave up coffee a few years ago. Somehow in my head there are only bad things about coffee and it helps me to avoid it. You described so well the benefits of coffee that I was ready to make myself a cup of this beverage. Continued reading your article, I have realized: no coffee for me and for my husband. He has diabetes. This is great information about those two factors. And another factor, that coffee can increase the heartbeat. Thank for your thorough information about coffee. I’m not a coffee drinker myself. But it matters whether you already have diabetes or not as to what coffee can or cannot do for you. I wouldn’t drink coffee if you have diabetes. And also you have to be aware of the caffeine because that isn’t good for you either. I gave up coffee a few years ago. Somehow in my head is only bad things about coffee and it helps me to avoid it. You described so well benefits of coffee that I was ready to make myself a cup of this beverage. Continued reading your article, I have relised: no coffee for me and for my husband. He has diabetes. This is great information about those two factors. And another factor, that coffee can increase heartbeat. Thank for your thorough information about coffee. Thank you, Rob, for sharing this post on coffee and diabetes. Though I do not drink coffee, I must say this is a post that is informative enough for those who are not yet diabetic but are in a stage where there is a chance to get diabetes. Per your post, being a diabetic, I am not supposed to have coffee. However, I do not have any regrets as I am not a great fan of coffee. I think I could have prevented getting diabetes or at least delayed the disease if I had known it earlier, that coffee helps in prevention of diabetes. I wanted to point out the facts about drinking coffee before and after diabetes. Because coffee is so popular I thought people should know about its effects on diabetes. As I too am not a coffee drinker, it doesn’t affect me since I already have diabetes. I hope this article helps other folks who drink coffee.